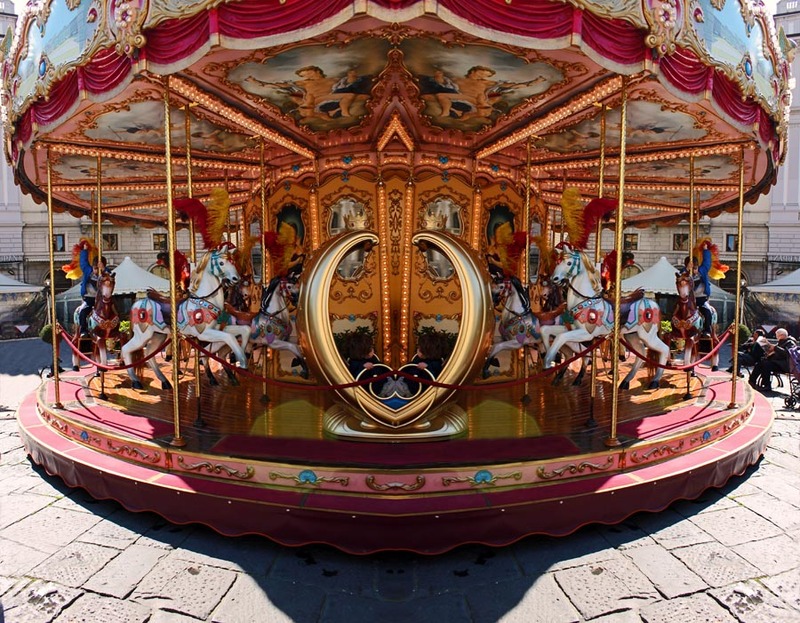 Colourful pictures of a merry go round in Florence, Italy. Pretty merry go round with white painted horses and a shiny exterior. 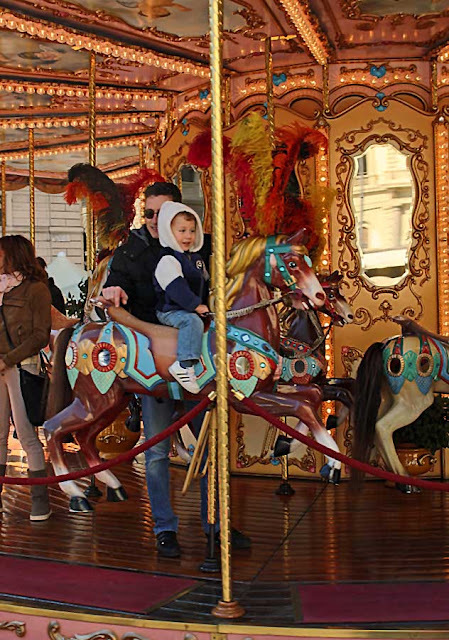 Father and child at a merry go round at Florence in Italy.